Saskia was born in Abcoude, the Netherlands in a family of music lovers. Saskia studied cello under the Hungarian cellist Tibor de Machula and went on to do a Masters in Ethnomusicology from the University of Amsterdam and the Conservatory of Rotterdam where she studied under Hari Prasad Chaurasia and Koustuv Ray. She came to India in 1994 where she studied Indian music under Dr. Sumati Mutatkar at the Delhi University. Subsequently, she was has also tutored by Pandit D.K. Datar, Pandit Deepak Chowdhury and Pandit Shubhendra Rao. 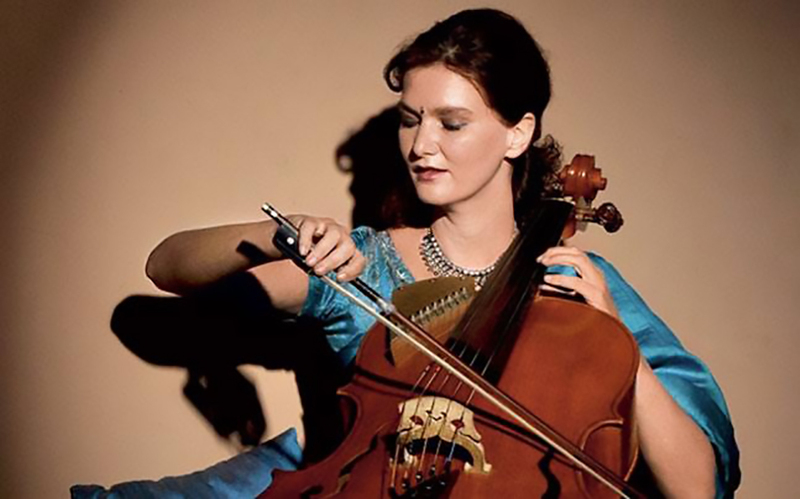 Saskia’s instrument, the Indian Cello, is a unique custom-made instrument to suit the requirements of Indian music, based on her comparative study of Indian string instruments and western baroque instruments. he has invented new techniques for the cello that allow her to nurture its inherent closeness to the human voice and explore unrestrained all its possibilities. Saskia has performed in India at prestigious music festivals and has toured extensively through North America, Europe and Asia and performed at leading theatres, such as John F. Kennedy Center for Performing Arts, and Musee Guimet in Paris. Her recent performance at the Edinburgh festival was described as a ‘work of outstanding originality’. Apart from Indian music, Saskia also performs Western classical, Avant Garde and folk music and is an accomplished composer. In 2014 her foundation jointly set up with her husband, launched the project Music: Every child's birthright to help underprivileged children reach their musical potential. The project includes a music education curriculum from nursery school up to high school level. Shubhendra was born in Southern India. His father, N R Rama Rao (who was one of the earliest and closest disciples of Ravi Shankar), initiated him into the intricacies of the sitar. At the age of seven he started training under the legendary sitarist, Pt Ravi Shankar. In 1984, at the insistence of his teacher, Shubhendra moved to Delhi to live with and learn from him in the true guru-shishya tradition. The years that followed were a period of introspective and creative metamorphosis, practicing from anything between ten and twelve hours every day. His teacher nurtured his talent, giving him deep insights into what it entailed to become a complete artist. 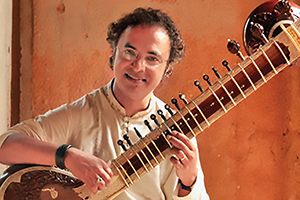 In 1987 Shubhendra gave his first solo concert in Bangalore, and since then has gone on to establish himself as one of the distinguished instrumentalists of his generation. An ardent and enthusiastic collaborator, Shubhendra has worked with musicians across genres. Some of the wonderful musicians he has composed for and collaborated with are Jazz guitarist, Freddie Bryant, singer Ryoko Moriyama from Japan, and Iranian musicians, Ciavash Borhani on Taar and Samer Habibi on Kamancha. Shubhendra has performed at some of the most prestigious venues like Carnegie Hall and on Broadway in New York, John F. Kennedy Center for Performing Arts, Sydney Opera House in Sydney, and Edinburgh Festivals in Scotland, to name a few. 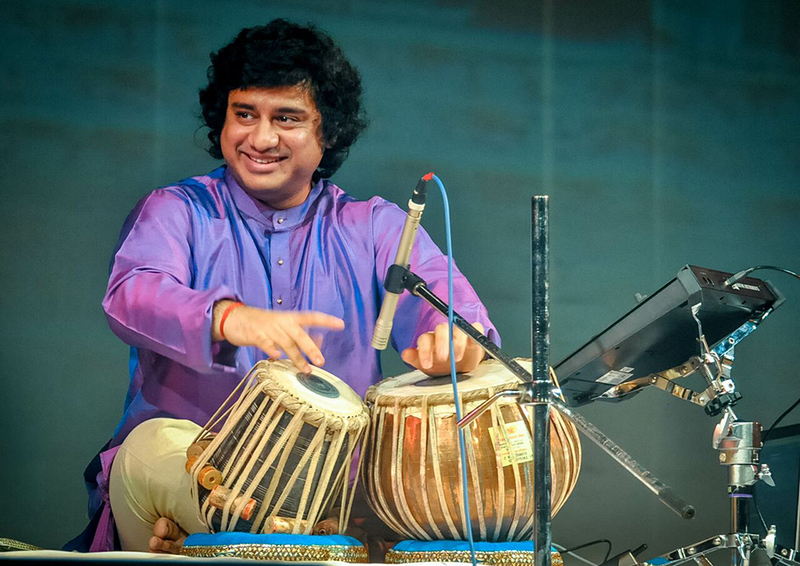 Percussionist, Aditya Kalyanpur was born in Mumbai, India. He began his training on the tabla (Indian drums) at the age of five under the guidance of Tabla Maestro late Alla Rakha Khan and his son Zakir Hussain. His style consists of bold and clear execution of syllables, pinpoint precision in rhythm coupled with a colossal repertoire of compositions and improvisational technique. He has accompanied artists like Shivkumar Sharma and Shujaat Khan. Kalyanpur went on tour with A.R. Rahman for his JAI HO World Tour. He can be heard on Katy Perry's "Legendary Lovers" from her album "Prism,". He has also recorded with Keith Richards of The Rolling Stones. Please check back or subscribe to our mailing list to be notified. Or sign up for the Benefactor Membership to enjoy this along with the 2019 concert series. Jhankar is a non-profit organization dedicated to the promotion and appreciation of Indian Classical Music – Vocal, Instrumental, Dance & Fine Arts. Our mission is not only to offer music lovers a unique opportunity to enjoy Indian Classical Music, but to foster in the citizens of south-western Ohio (Cincinnati / Dayton area) an understanding and appreciation of music of an ancient culture.